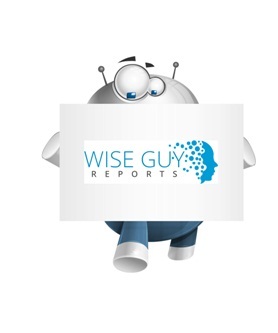 WiseGuyReports.Com Publish a New Market Research Report On –“ Dimethyl Ether Market by Manufacturers,Types,Regions and Applications Research Report Forecast to 2024”. As Chinese overall economic downward trend in the past few years, and international economic situation is complicated, in the next few years there will be many uncertainties, and dimethyl ether industry in short supply on the market in the past few years. More and more companies enter into dimethyl ether industry, the current demand for dimethyl ether product is relatively low, so there is lack of demand and excess supply. The China production of dimethyl ether is 3929 K MT in 2015, about 92.97% of the global production. There are about 80 companies manufacturing dimethyl ether in China, Kaiyue is the largest dimethyl ether manufacturer in the world, about 7.5% of the global production in 2015. The worldwide market for Dimethyl Ether is expected to grow at a CAGR of roughly 0.1% over the next five years, will reach 2190 million US$ in 2024, from 2180 million US$ in 2019, according to a new GIR (Global Info Research) study. This report focuses on the Dimethyl Ether in global market, especially in North America, Europe and Asia-Pacific, South America, Middle East and Africa. This report categorizes the market based on manufacturers, regions, type and application. Chapter 1, to describe Dimethyl Ether product scope, market overview, market opportunities, market driving force and market risks. Chapter 2, to profile the top manufacturers of Dimethyl Ether, with price, sales, revenue and global market share of Dimethyl Ether in 2017 and 2018. Chapter 3, the Dimethyl Ether competitive situation, sales, revenue and global market share of top manufacturers are analyzed emphatically by landscape contrast. Chapter 4, the Dimethyl Ether breakdown data are shown at the regional level, to show the sales, revenue and growth by regions, from 2014 to 2019.